Laughter is good for you. It has health benefits, can make you feel relaxed and positive, and can help you cope with stress. It’s also infectious. If one person starts laughing, it’s not long before this spreads. 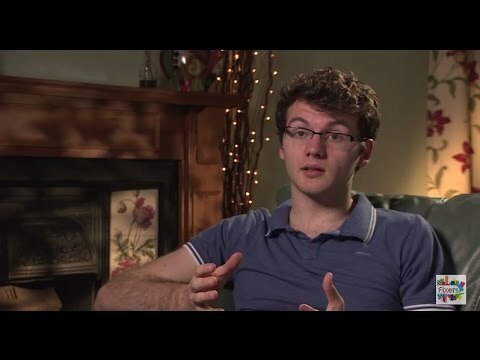 My school friend, Stephen Sutton, completed a Fix in November 2013. It was a campaign that involved a group of young people doling out good gestures – high-fives, fist bumps, handshakes and hugs – to make others smile. I thought it was great and it's inspired me to want to help more people feel good. So, Stephen and I began talking about what we could do to further spread this message of positivity. Recently Stephen’s health deteriorated and he was taken into hospital - he has incurable cancer. 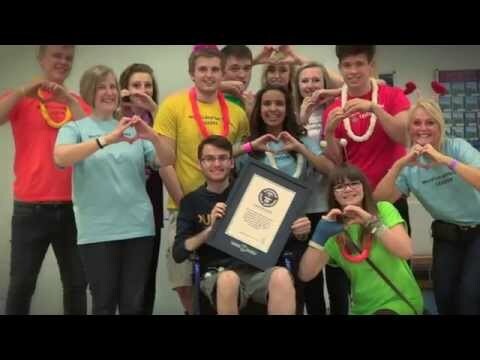 One of the items on his bucket list is to get his name into the Guinness World Records book. With Fixers, I’m going to try to help him achieve that goal, by attempting to get hundreds of people together in one place making heart-shaped hand gestures. 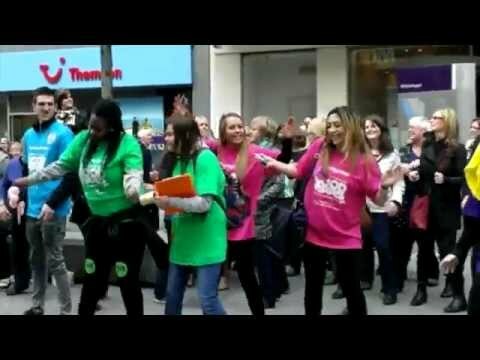 I’m also planning to run a laughter yoga therapy session to get those involved in the record attempt to giggle! The team at Chase Terrace Technology College support my Fixers campaign. They provided a location for our world record attempt. St John Ambulance support my project. They were available to provide first aid on the day of our event. Maria supports my project. She is training me to provide laughter yoga therapy as part of my Fix. Thanks also to happiness mentor and laughter therapist, Conrad Jagger and Jules Mitchell, for helping us to spread positivity. We did it! On Sunday 4th May we successfully set a new Guinness World Record for the most people making heart-shaped hand gestures simultaneously. 554 people took part and it was great to be able to help my friend Stephen Sutton tick another item off his bucket list. Stephen surprised us all by turning up at the record attempt at Chase Terrace Technology College and I know he was proud of us. A group of us with our certificate from Guinness World Records! The record attempt received a lot of media attention. Our story has been featured in publications as far away as India and Australia! Click on the links below to read the articles. We also received a nice write-up on the Guinness World Records website. I will lead an attempt to set the Guinness World Record for the most people in one place making a heart-shaped hand gesture on Sunday 4th May at Chase Terrace Technology College in Burntwood. At least five hundred people will need to take part to ensure my friend Stephen Sutton, who has incurable cancer, makes it into the record books! An adjudicator from the Guinness World Records book is coming along to verify the attempt. Following this, a laughter yoga therapy session will be held for those attending, in a bid to further spread Stephen’s inspirational positivity. National Good Gestures Day 2014.